Cellino & Barnes is currently evaluating cases of injury due to Teflon. 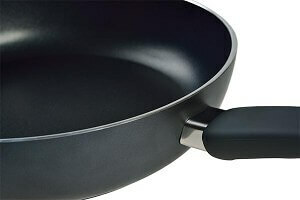 Cookware coated in Teflon is used in kitchens throughout the United States. Unfortunately, Teflon poses very serious health concerns. DuPont makes a chemical called perfluorooctanoic acid (PFOA or C-8), which is used in Teflon. Studies have shown in approximately 95% of Americans, PFOA is found in the bloodstream and can remain in the body for decades. PFOA has been linked to cancer, reproductive problems and developmental effects in animal tests. In 2005, DuPont settled a lawsuit with some residents in West Virginia who claimed the company contaminated water supplies with the chemical, knowing it had been linked to birth defects and other health problems. DuPont has admitted no liability in the West Virginia suit and maintains Teflon is safe for household use. DuPont faces increasing litigation, however, due to potential personal injury suits for poisoning groundwater as well as claims that it deceived consumers by failing to advise of the health risks it has known about. Potential class actions in at least 15 states allege that DuPont hid studies showing that Teflon heated to 464 degrees (which a pan can reach in two minutes on a conventional stovetop burner set at high) emits toxic gases and particulates that have killed pet birds in unventilated kitchens and caused extreme lung damage to rats within 10 minutes. At 680 degrees, Teflon pans released at least six toxic gases as well as PFOA. DuPont’s own test results document adverse health effects and birth defects from PFOA exposure. If you or a loved one has suffered an injury due to Teflon, call us now at (800) 888-8888 or contact us online.